When she was at school, Katie was crazy about books. Determined to become an author one day, she spent endless hours writing, drawing and putting together her creations. But, somewhere along the way she forgot about her childhood ambition. She became busy doing other things like studying, working, travelling and raising a family. It wasn’t until decades later, when reading to her three youngsters, Katie realised she loved children’s books even more than she loved adult’s books. And then, she remembered she’d always wanted to write them ... So, she started writing and hasn’t looked back! Katie's first picture book manuscript was shortlisted for a major award in her home country of New Zealand (The Joy Cowley Award 2011). In 2012, she received a mentorship through the New Zealand Society of Authors. Since then many of her stories have appeared in the New Zealand School Journal and The School Magazine in Australia, and she’s written picture books and plays for educational publishers. In 2015, her original fairytale Michael and the Magic Tree was published in an illustrated collection and her middle grade manuscript, The Doll’s House, was shortlisted for the Tom Fitzgibbon Award. In 2018, Katie completed a Master of Creative Writing at Auckland University of Technology. 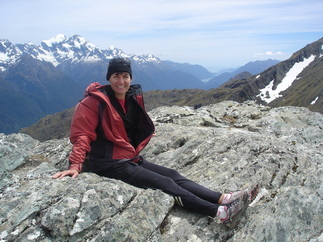 Katie lives in Auckland, New Zealand with her husband and her three school age children. When she’s not writing or reading she likes spending time with her family, running (slowly), tramping, pottering around in her garden and cooking for family and friends. She also loves travelling and scuba diving – both things she hasn’t done nearly enough of in recent years. ​Katie is represented by Essie White of Storm Literary Agency.